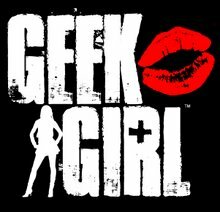 GEEK GIRL KNOWS: New Video Podcast! Episode 4.1: Geek Gads! I look forward to your second part. That Casio phone looks like something that I would need and use. I just wish it wasn't so bulky looking although I do love my iPhone. This outputs a tree showing all of your c: drive directories and files to tree.txt. thanks, me! actually, i mention YOU in part 2! make sure to watch! and anonymous, that is some serious command you are talking about! thanks for that...i was thinking that there was actually something that you could do once you had a folder opened like a "print folder listing" function that is more for the everyday user. but i love the "tree"! i haven't heard that in a long time.